Last year I was fortunate to be selected to be part of the first cohort of the Museum Association’s Transformers programme. A workforce development programme aimed at mid-career professionals, the aim of the programme was to challenge us to think in new ways, embrace the ideas of innovation and radical change, and take that back to our organisation and effect some kind of transformational change. I didn’t really know what to expect from the programme when I arrived at the first residential back in the summer. It seemed to me that the formal learning parts of both residentials (the second was in September) focused on two things (1) developing practical skills such as presenting, doing funding pitches, giving feedback and managing teams, and (2) looking at and understanding yourself, your strengths and weaknesses, your attitude to risk and what it is that might be holding you back. I definitely took away some great practical tips, but I am not sure how successful I was at gaining a greater understanding of myself. We completed a Strengths Finder test as part of the process, and if self reflection was one of the strengths, it would not have been among mine! I’m not really sure that within the two short residentials I was able to get a proper grip on what it is that might be holding me back. Fortunately, as part of the programme Transformers also arranged for us to have a coach, and the follow up conversations I have had with my coach have helped me give this some more thought. I am still on that journey – transforming rather than transformed – but the sessions are definitely helping me to move forward. The best part of the first residential was meeting all the other amazing participants! I feel like I was one of the relatively junior participants having only worked in museums for 4 years, and I had the opportunity to engage with a variety of people from curators, to senior managers to museum directors, and really learn from their experience and delve into their perspectives on being a ‘museum professional’. The highlight of the second residential was coming back together with this amazing group, and everyone has been extremely supportive throughout the programme. I feel like I have acquired an amazing new network. Alongside the formal training framework, as part of the programme we were asked to deliver a project that would have a transformational impact on our organisation. This is where I struggled. The microfunding was quite a small amount, but at Oxford University Museums we run our own Innovation Fund, which supports colleagues to deliver innovative projects beyond their usual remit, and I have seen some amazing things achieved with just £500, so I didn’t feel like that should hold me back; but I struggled to find something I could do within the funding, and the time, available. I also think I placed a lot of pressure on myself to manage to do something ‘radical’ and ‘transformational’, and couldn’t get excited about ideas I didn’t think were really transformative. 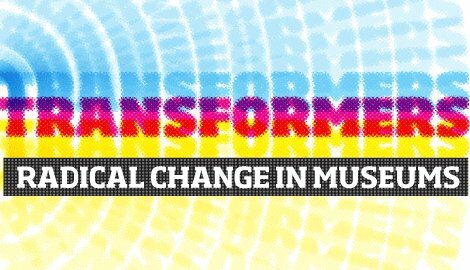 My Transformers project was a response to a major digital transformation happening across our four museums. 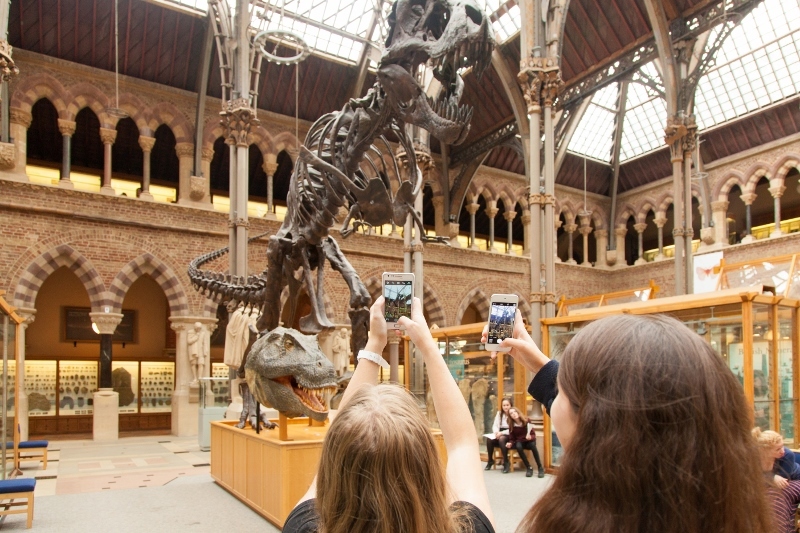 We received significant funding through Oxford City Council from BDUK and the Oxfordshire Local Enterprise Partnership to introduce public Wi-Fi throughout our four museums, and had 6 months to deliver it – a huge logistical challenge. This also meant that we needed to begin to provide mobile content customised and optimised for our onsite visitors and build our expertise in that area. We secured £5k in funding to build a joint museums mobile website to deliver some of that content – really our minimum level requirements in order to have something ready for the launch. However, the funding was really too limited to extend to any serious evaluation. Consequently I was pleased to be granted funds by the Transformers programme in order to enable us to evaluate the mobile website with users. Naturally I wanted to do this to help us improve our final product, but also pilot new ways of working, that would have a lasting impact on how we do things. We incorporated the user evaluation squarely into the development process, enabling us to integrate user feedback into the website as we were building it. This kind of agile evaluation and response way of working was quite new territory for us – something we have always aspired to, but have found difficult to implement. We were extremely successful in this, not only developing what we think is a better resource for our visitors ahead of our launch date in late March, but also pursuing this as a joint museums project and exposing digital colleagues from across the museums to this way of working, and their positive experience with this way of working, has influenced how they want to move forward in the future. In turn we have successfully sold this approach to our upper management. As a reflection of that, from the initial £5k invested in the website and the £1.75k from Transformers, we have now successfully leveraged £50k from the University to continue developing our mobile offer for our onsite visitors in this way throughout 2015. The project, which is called ‘Hidden Museum’, which only started earlier this week, is conducting a series of prototyping and evaluation experiments with different mobile technologies and types of mobile content to increase our understanding of what users engage with. We will then take an iterative approach to building a prototype mobile resource for one of our museums, where we will again use an agile approach of regular user evaluation to ensure what is produced meets user needs as best as we can, and offers the best possible user experience. Finally, Transformers is also supporting me to share the learning from the process with the broader sector by attending and presenting at Museums and the Web in Chicago in April, which will be an amazing (and daunting) experience for my professional development. Also, my work in this project and the strategic leadership that I have demonstrated has led to a change in my role, so I am no longer leading just on individual joint museums digital projects, but taking on a more strategic leadership role as well. Consequently I can say that overall my experience of Transformers has been very positive, with it providing both the funding, but more importantly the mandate, to lead this transformation within my organisation and myself professionally. It feels like a small start to the kind of transformation that I would like to see happen in my organisation, but it is a start, and I feel like I am now in a better position in terms of my role, my vision and my confidence to continue to influence that transformation. Although I feel like I am transforming rather than transformed, participating in the programme has certainly had a significant impact in me. I am really just sad that it is over, since I feel like there is still a long way to travel. This entry was posted on March 11, 2015 by Jessica Suess in Museums.